On Saturday we took three Brazilian Rotary Youth Exchange students to Ballarat Wildlife Park to see our native animals. Rayssa, Jordana and Lorena loved the animals, particularly the kangaroos which were keen to feed from our hands and were not frightened of people. I hope that you enjoy some of the photos we took. Can you match the animals to their names? Wedge tailed Eagle, Tasmanian Devil, Perentie, Frill-necked lizard, Saltwater Crocodile, young Kangaroo (joey), Freshwater Crocodile. 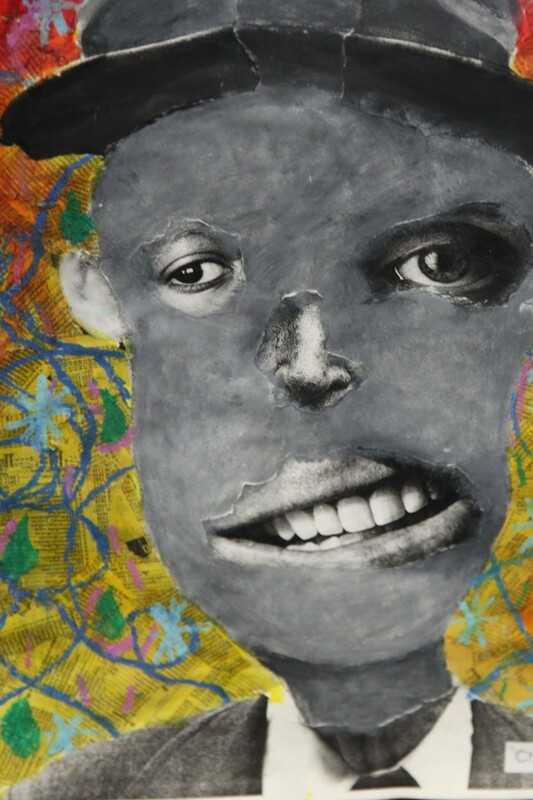 As art teachers we are always on the lookout for work by other students to inspire our students. Art supply company Zart in Box Hill, Melbourne has an excellent and regularly updated Student Gallery. 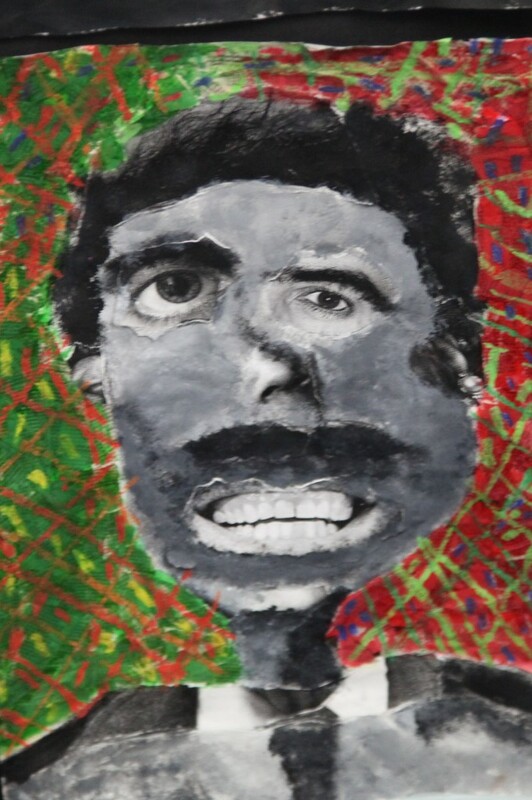 I took these photos in January 2011 and thought our older students, who are currently painting portraits, might enjoy them. The purpose of the work was the use of tone to make the face, joining the given eyes, nose, mouth etc which had been cut from newspapers or magazines. There are hundreds of great photographs from previous exhibitions on the Zart website. I hope you find some new ideas there. Our Grade 6 students wowed us last Term with their watercolour painting based on the work of Australian Author/ Illustrator Graeme Base. They chose a character from one of his books or made up one of their own, drew it and painted in the details with watercolour paints. Well done to Jennifer, Dimitria and Ilayda for their animals and to Swarada for her Illuminated Initial Letter inspired by those in “Animalia“. 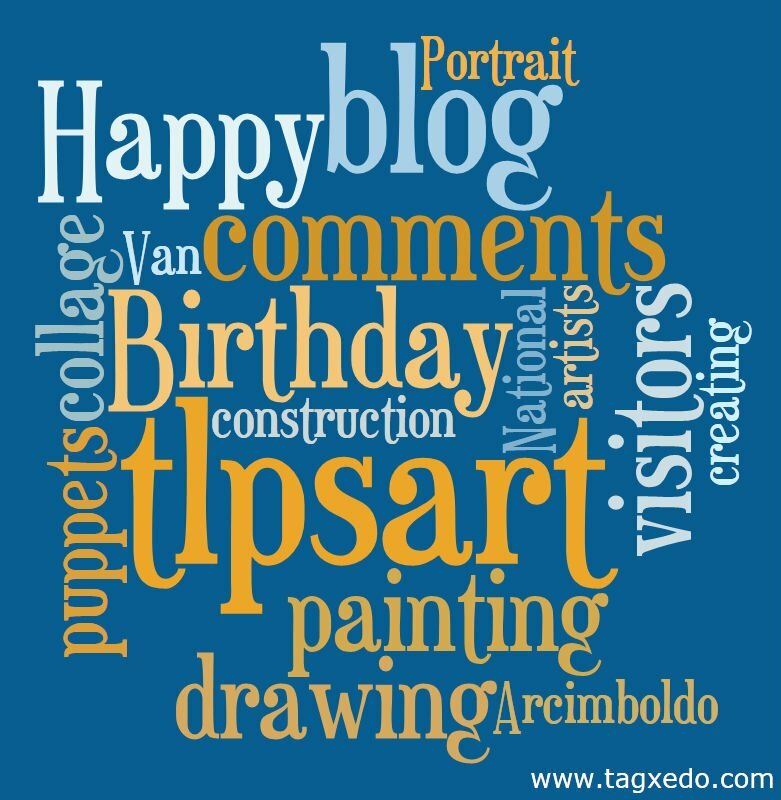 It’s hard to believe but Monday 9th May, 2011 will be the third Birthday of our Visual Arts Blog. 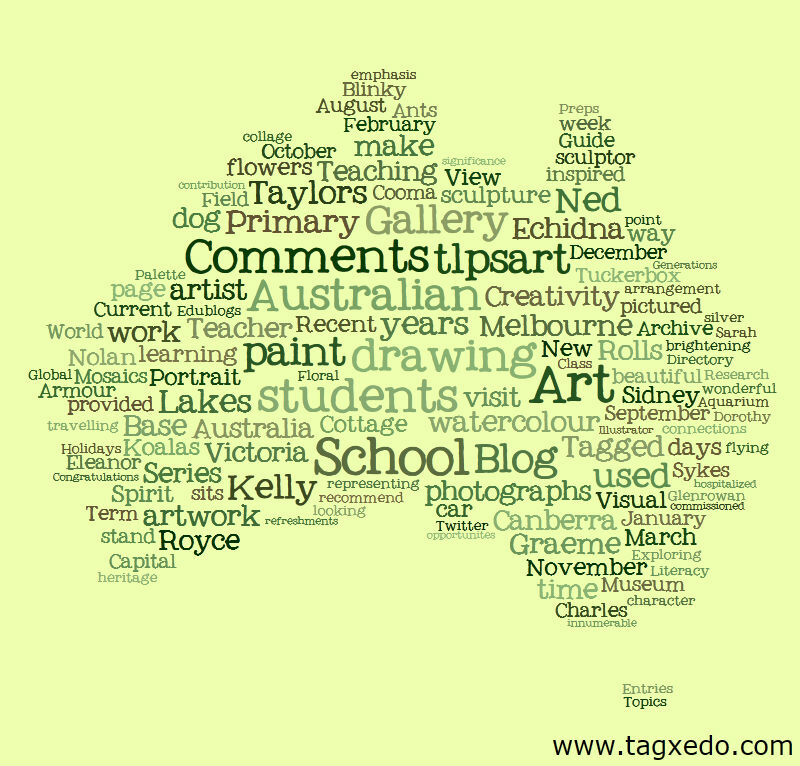 Commonly known as our “tlpsart” Blog it has become a voice for us and a showcase for our work and ideas. It’s a way in which we can express ourselves and share our learning with a World wide audience. Yesterday the blog had its 16,000th visitor. In honour of the Birthday I looked for some Web tools to help us reflect on our Blog and celebrate its achievements. 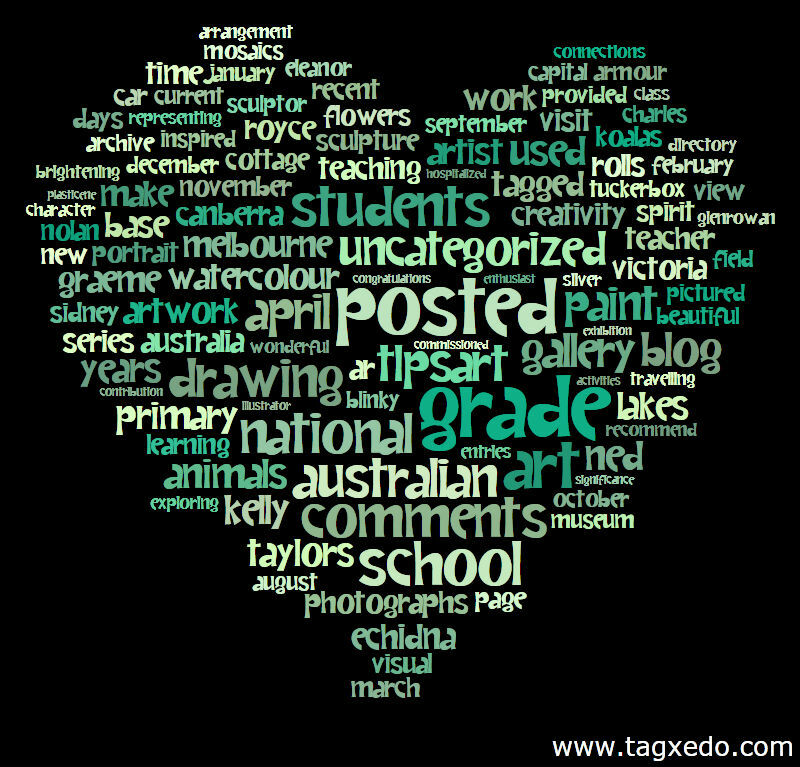 The first one I chose was Tagxedo which is free to use for now and enabled me to make some colourful word clouds. 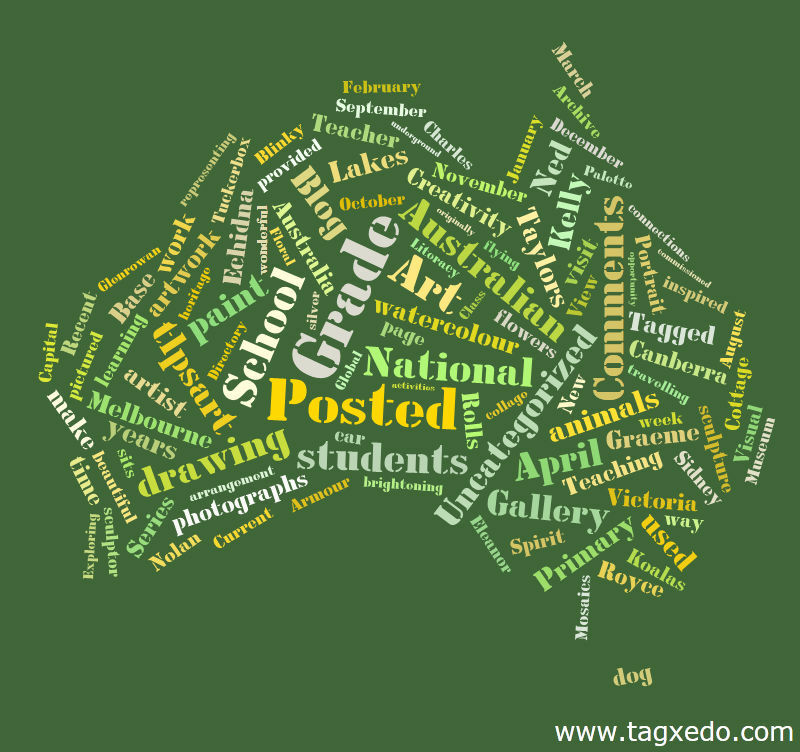 Happy Birthday to our Blog and Best Wishes to our Taylors Lakes Primary School students and teachers for their continued artistic and blogging journeys. Two years ago we visited Glenrowan in Victoria which is famous for bushranger Ned Kelly’s last stand against the police who had been chasing him and his gang for many months. A blacksmith in the town makes replica suits of armour so I am posting photographs for our Grade Six students who will be travelling to Canberra soon and will see Australian artist Sidney Nolan’s “Ned Kelly series” of paintings at our National Gallery. The old photograph is of the Glenrowan Railway Station and was taken during Ned Kelly’s lifetime. The cottage on the left is typical of the timber homes of the day.